Tattoos and other various body modifications have always fascinated me, and by 18, I was itching to get my first piece of body-art. 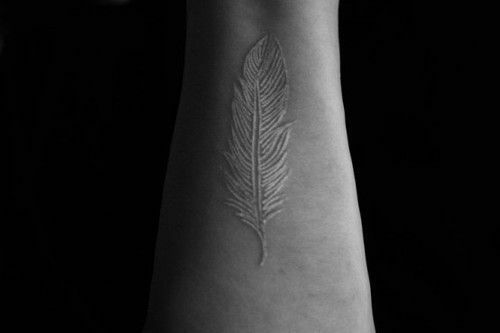 Of the many ink styles out there, I have fallen in love with the white-ink tattoo. They're really quite beautiful, discreet, and tasteful. 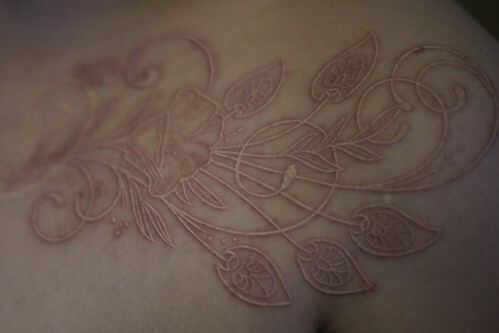 I do not think my next adornment will be a white piece, but I'm sure I will get one at some point. really quite stunning actually. 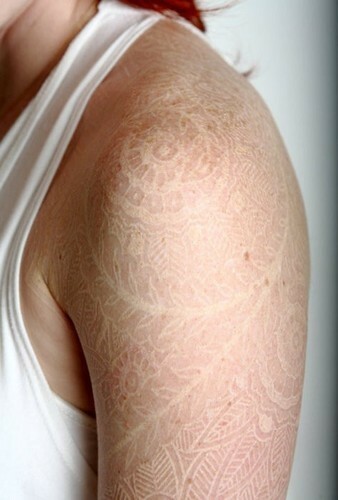 There weren't many good photos of white ink that I feel like I can call "art" (which is what I think tattoos essentially should be), but I will leave you with these.